» Tell Us Your Success Story of Finding Size HH! 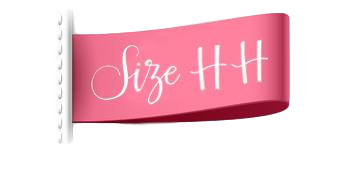 At Size HH, we are passionate about helping women of all ages feel better about their bodies and are extremely excited to share this project with you! After two years, the Size HH book is finally ready and will be launched on December 2nd to inspire busy women like us to look and feel the best they can. 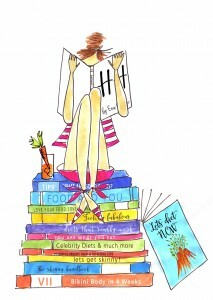 When writing the book, we picked the brains of experts and learnt from stories of amazing women who have struggled with their weight and body image but eventually succeeded in finding a healthy size they are genuinely happy with. These stories really inspired us, but we know this is just the tip of the iceberg and so we want to hear your story too! Our aim is to bring together inspirational and useful personal stories of people trying to find their Size Happy & Healthy so that we can all learn from and gain support from like-minded women who have or are struggling with the same issues. To make it worth your while, we are offering a great prizes from brands including Fitbit and Nutribullet for the story that we feel is most powerful and inspiring. Even if you don’t win, you can know that you have inspired and supported hundreds of women struggling with the same issues you have accomplished, which is very important! Share your story by posting in the comments below this post, or anywhere else you like to express yourself and then putting the link below before December 4th at 4pm GMT. We’re looking forward to reading/hearing your stories! Previous Post Make Your Favourite Meals Healthier! Next Post Size HH E-Book Online Launch 2nd December 2015! Thanks Georgina, great to hear your story!